Adegem Canadian War Cemetery is located midway between Brugge (17 km) and Gent (26 km) on the N9 which connects the two towns. From Brugge, Adegem is approached via Sijsele and Maldegem. 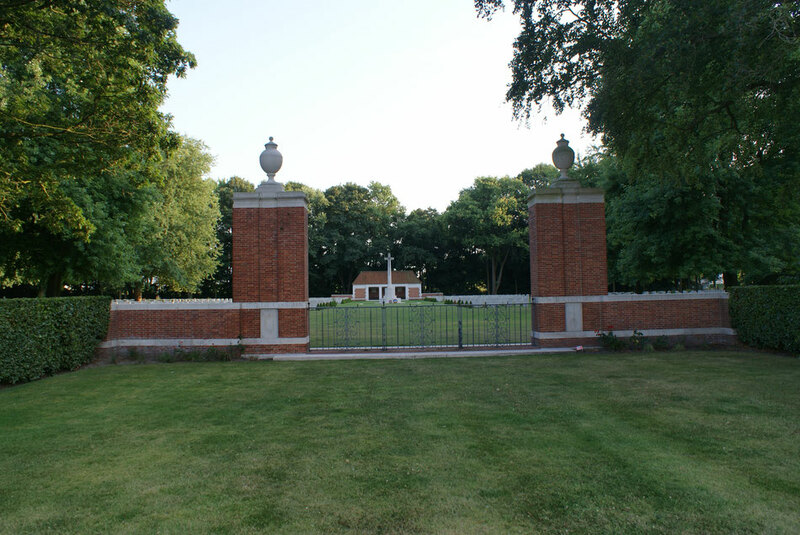 On reaching Adegem the cemetery is located on the Prins Boudewijnlaan, on the right hand side of the N9. In the last week of September 1944, the Allies held the city of Antwerp, but the Germans held both shores of the Scheldt estuary, so that the port of Antwerp could not be used. 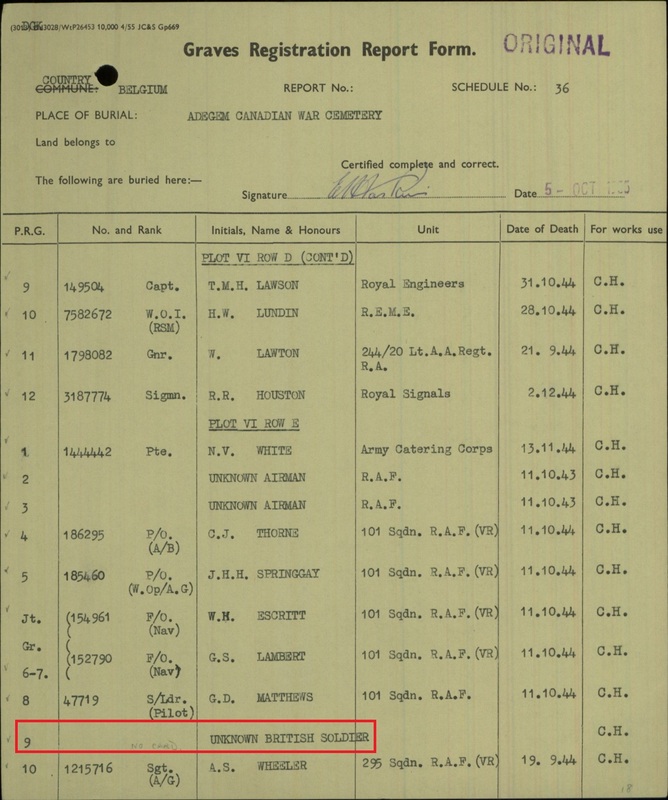 The task of clearing the southern shore of the estuary was allotted to the 3rd Canadian Division, aided by the 4th Canadian Armoured Division and the 52nd Division. Their operations lasted from October until the beginning of November 1944; by 3 November the Germans had been cleared from the north-west corner of Belgium and the south shore of the Scheldt was free. There had been fierce fighting for two weeks for the crossing of the Leopold Canal. 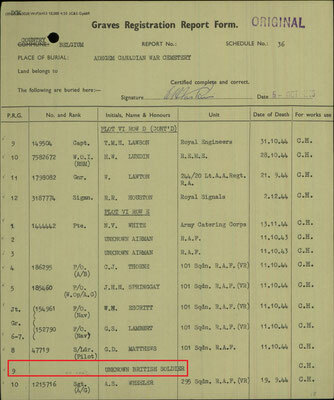 The majority of the men buried at Adegem died during the operations for the clearance of the south bank of the Scheldt, but many Canadians who lost their lives elsewhere in Belgium were also brought here for burial. 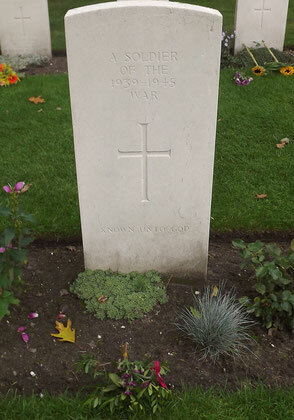 A number of isolated graves from various communal cemeteries and churchyards in Belgium have also been brought into this cemetery since the end of the war. 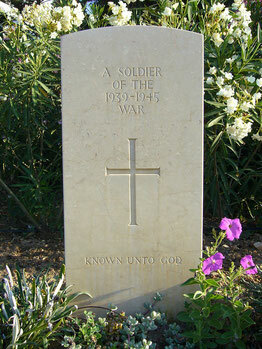 The cemetery now contains 1,119 Commonwealth burials of the Second World War and one unidentified burial of the First World War. 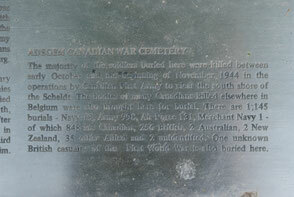 There are also 33 Polish and two French burials.